No one exemplifies the innovation and avant-gardism of Bulova Accutron quite like Sir Richard Branson, ambassador for the brand who now lends his name to a 500-piece numbered limited series. A COSC-certified chronometer with 24-hour dual time zone, the Sir Richard Branson Limited Edition Watch is as much a tribute to the legendary precision of Bulova Accutron watches as to the international impact this extraordinary entrepreneur and philanthropist has made. 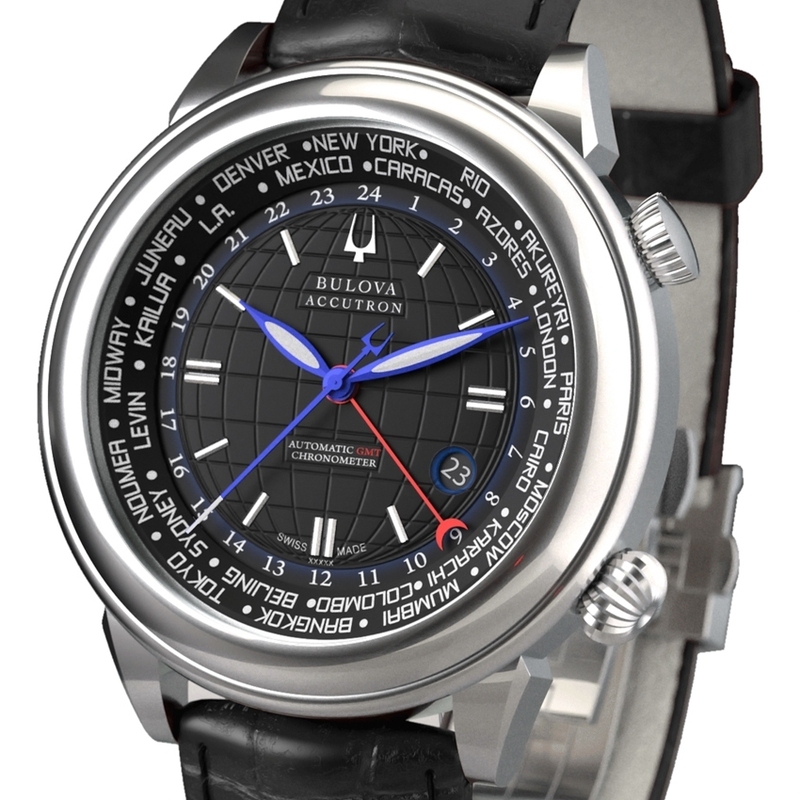 The dial is a representation of the globe, with guilloché latitude and longitude lines. International cities are read from the rotating flange for the changing time zones. Simply indicate where you are and GMT will automatically adjust. The lightweight yet resistant titanium case emphasises the care afforded to this collector's watch. A timepiece for the visionaries of today.